The drain system in your home is what makes sure we stay healthy and keep waste and sewage flowing away from the home. When things get clogged up, you might need a pro to find the problem, and clear your drains, especially if it's in your MAIN drain line (your sewer line). That's why Plumbing Experts NW is the one you need to handle your drain cleaning Marysville---stop letting a frustrating clog ruin your day and create an unsafe home for your family! Our technicians have the experience working with home plumbing systems for decades, so it's worth it to have a pro do it right and do it faster for you. It's a service for drain cleaning Marysville WA families should be looking for, instead of messing with it themselves. We give a clear diagnosis and communicate your options. Just like with our other plumbing services, we advise you and present all options for repair as clearly as we can. See the Reviews of our Drain Cleaning Services in Marysville! Service in Plumbing Marysville WA will appreciate from the time you call. Get friendly experts that care. Our Marysville WA Plumbing pros locate water leaks in the house or in the water lines underground, fixing them fast. Sewer scope or a sewer camera inspection is essential for a homeowner to know what is really going on with a sewer line. Water heater leaks or no hot water coming? We inspect, repair, or replace water heaters every day! We clear all drain clogs and stoppages. 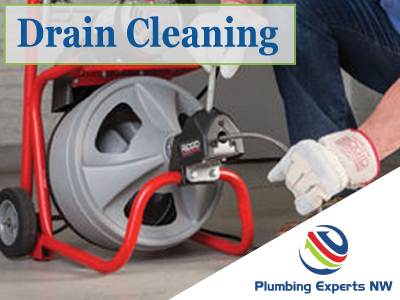 Expert drain cleaning in Marysville and surrounding areas. We do sewer repair in Marysville and we know what it takes to keep small issues from becoming big ones.